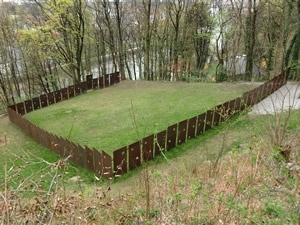 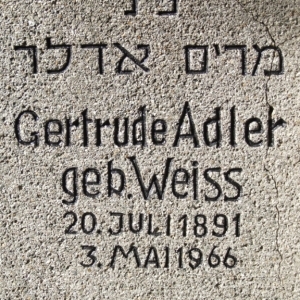 Between 1503 and 1864 the old Jewish cemetery with its 400 square meters was situated close to the Alpenzoo on the slope of the “Judenbühel” (“Jewish hill”). 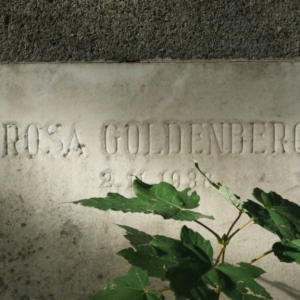 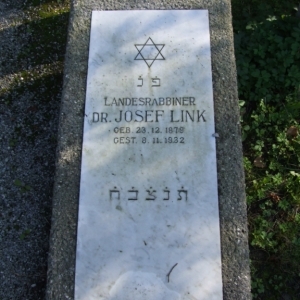 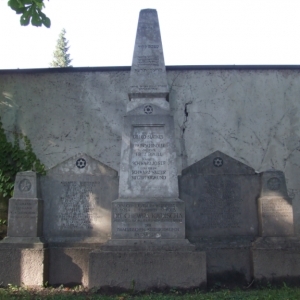 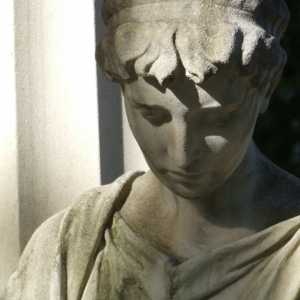 After vandalism in February 1861 and March 1863 and also because the cemetery was difficult to reach the Jewish community was given a small area on the western cemetery. 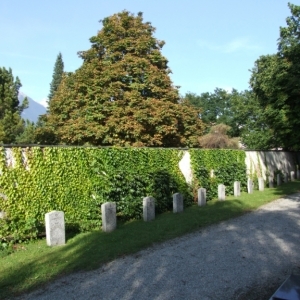 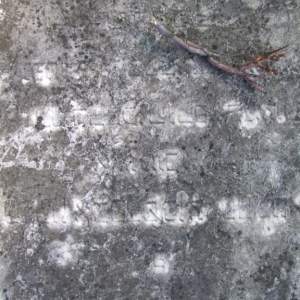 Partly, the graves were transferred to the new location. 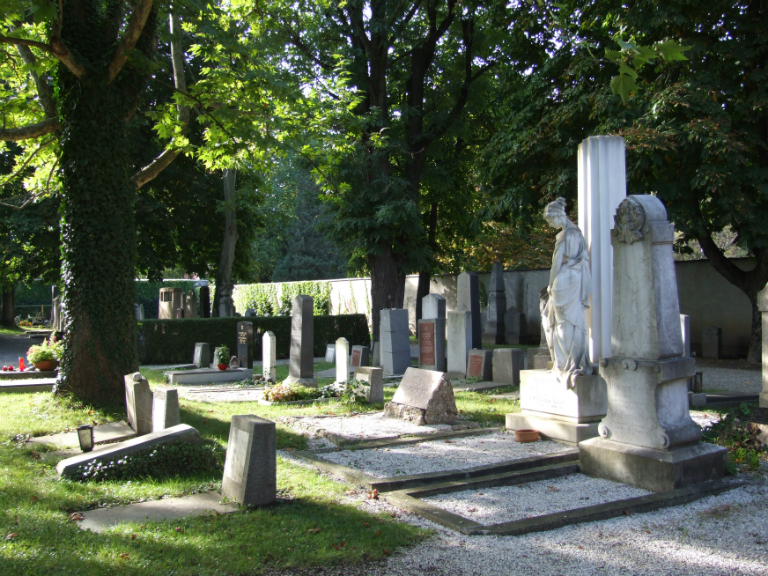 Members of the student fraternities Brixia and Suevia defiled some graves during the Eichmann trial in 1961. 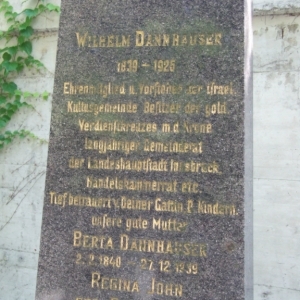 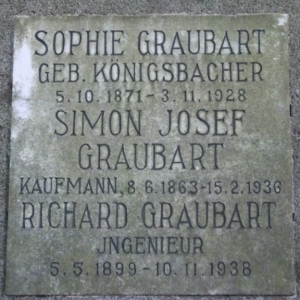 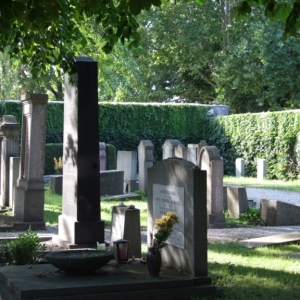 In 1981 a part of the cemetery had to give way to the enlargement of Südringstraße. 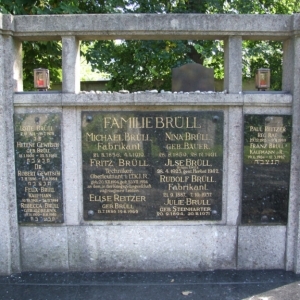 A list of names on the south wall of the cemetery reminds us of this. 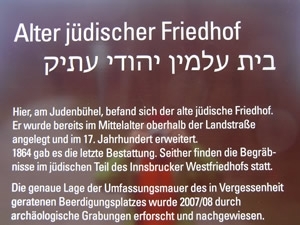 In June 1997 a menorah was erected on Eduard -Wallnöfer-Platz / Landhausplatz to commemorate the Jews murdered in the “Reichskristallnacht”. 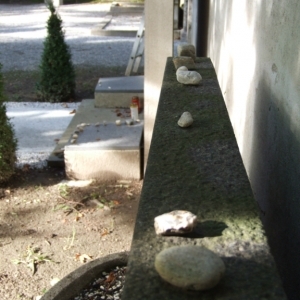 In June 2007 excavations were carried out on the area of the old Jewish cemetery on the “Judenbühel” under the supervision of the historian Mag. 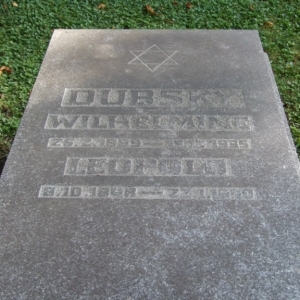 Michael Guggenberger. 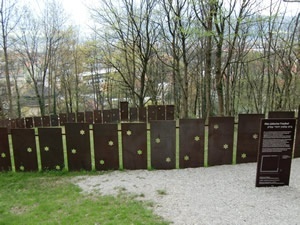 Parts of the old wall could temporarily be laid bare. 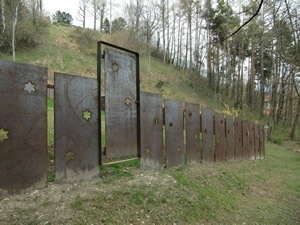 Today steel plates by architects Ada and Reinhard Rinderer show the course of the wall and the former entrance. 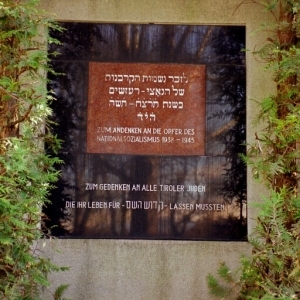 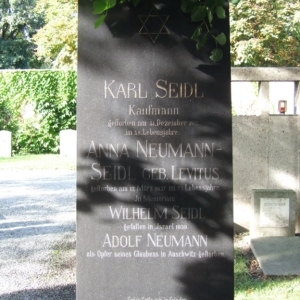 The opening of this memorial took place in June 2009.